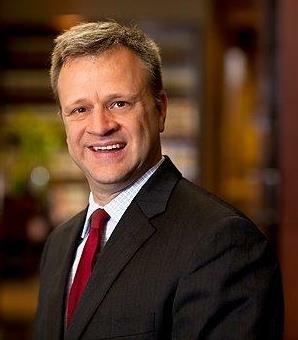 Tom Duda is a partner of the firm practicing in the areas of tax, real estate and estate planning. Tom’s legal experience has included various aspects of partnership syndication, federal and state tax credits (federal and state certified historic/historic preservation credits, federal and state low-income housing credits, and state affordable housing assistance program tax credits), tax-deferred real estate transactions, general business and tax planning, choice of entity planning, business transactions, estate planning, estate and gift tax law, fiduciary tax law, and employee benefits. Tom is an adjunct lecturer at Fontbonne University, teaching in the Master of Science in Taxation Program (Taxation of Partners, Partnerships and Subchapter S Corporations, 1998 to present), the Undergraduate Department of Business (Business Law II, 2002 to present), and the Master of Science in Accounting Program (Business Law for Accountants, 2006 to present). In addition Tom teaches as an adjunct lecturer in a team-taught course in Washington University’s Graduate Tax Program (Selected Topics in Real Estate Taxation, 2000 to present). His charitable and civic activities include being a member of Rockhurst University’s St. Louis Planned Giving Committee and being on the board of Northside Community Housing, Inc., a charitable organization operating in North St. Louis organized to combat poverty by developing affordable housing.